Auto collision repair is not just about performing repairs on a vehicle that has been involved in an accident (although that is a critical part of it), but also about making sure that your needs are catered to throughout the way. It's important to work with collision repair professionals who know how to take the stress out of an otherwise very stressful and frustrating process. With CARSTAR, you are being taken care of from the moment you call us. Our excellent customer service will arrange for a tow service and make sure you get to us quickly and safely. We'll also assist in getting you up in a rental car as quickly as possible and liaise with your insurance company. Upon repairs completion, we'll conduct quality inspections, a full clean-up of your vehicle and deliver it back to you good as new. It's like a "white glove" service for auto collision repair. Learn more by contacting CARSTAR #15204 in Cerritos, CA. At CARSTAR, you don't just get state-of-the-art auto collision repair for your car - you get comprehensive assistance every step of the way, so that the entire process is as painless as it could be. Not only do you not have to worry about your car being repaired by expert and experienced technicians using top frame repair equipment, but you also needn't worry about the hassle of having your car in the shop. From arranging a tow service to liaising with insurance companies to assisting you in getting a rental, our team at CARSTAR #15204 in Cerritos, CA will be with you every step of the way. We may not be able to help prevent accidents, but we will certainly make auto collision repair stress-free for you. 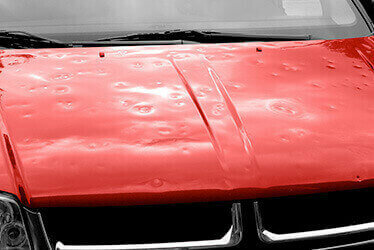 From 24/7 assistance and fleet services to hail damage and paintless dent repairs, there are many and various services that CARSTAR CARSTAR #15204 in Cerritos, CA provides. Our goal is to provide you with an auto body center that you can turn to. whatever your needs may be, so you know at any time and in any circumstance that your vehicle is in good hands. Our 24/7 assistance service includes everything from tow services to car rental arrangements, as well as dealing with all paperwork and walking you through the process step by step. Our fleet services will keep your cars on the road longer with lower costs, while our hail damage repair services will put that nasty storm behind you.